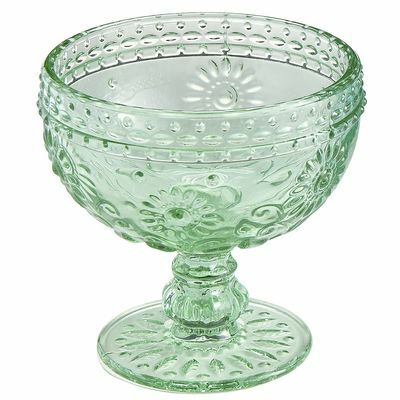 Inspired by Depression glass of the 1920s and 30s, these weighty, hand-molded dessert Green Vintage-Style Dessert Cups resemble those used by your great-grandparents at ice cream socials. $4.95. Buy here.